Hey yall and happy Wednesday. 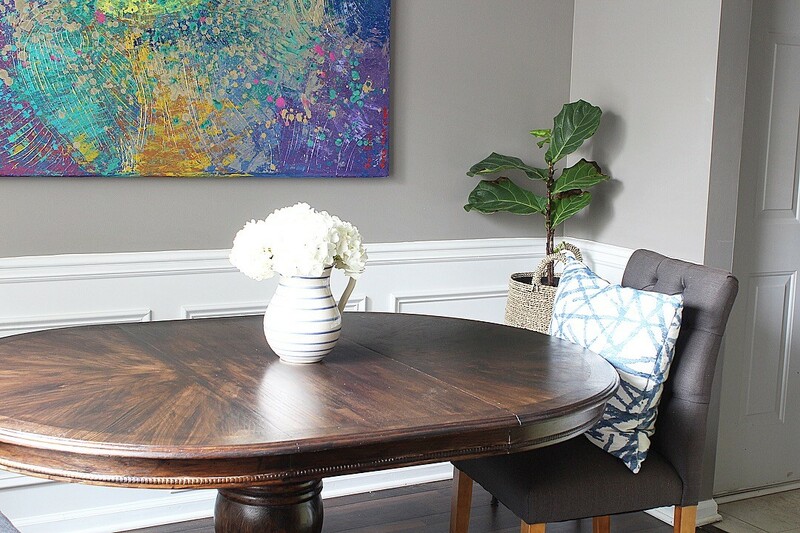 Recently, I’ve been getting my head wrapped around making some updates in the dining room to make it more functional and useful. We don’t really use the space as it because the table only held 4 people. I wanted seating for at least six. Here is the original table. It’s nice as you can see, but small. The first step included finding a new table. 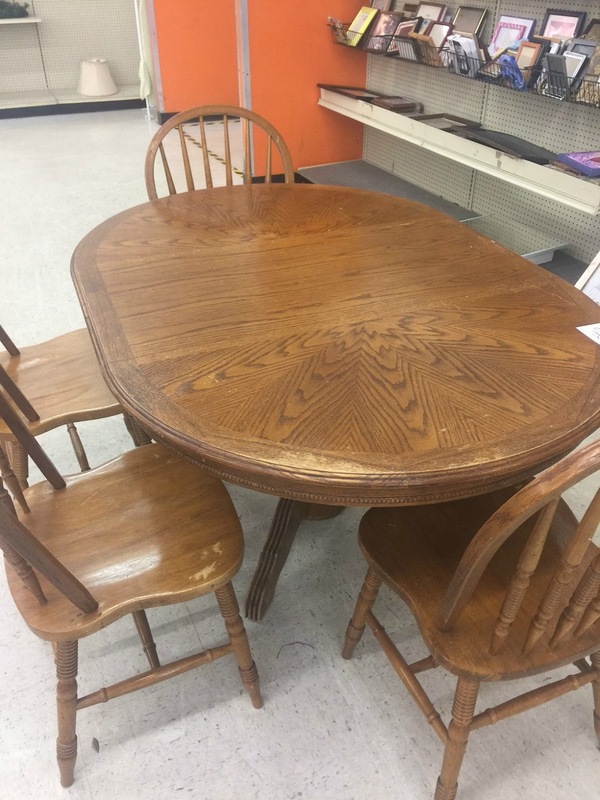 While tables can be pricey, I opted to shop my local Goodwill first. Since the project wasn’t time-senstitive, I took my time to locate the perfect table. I came across this one for $34.99 at my local store and I knew it was perfect. 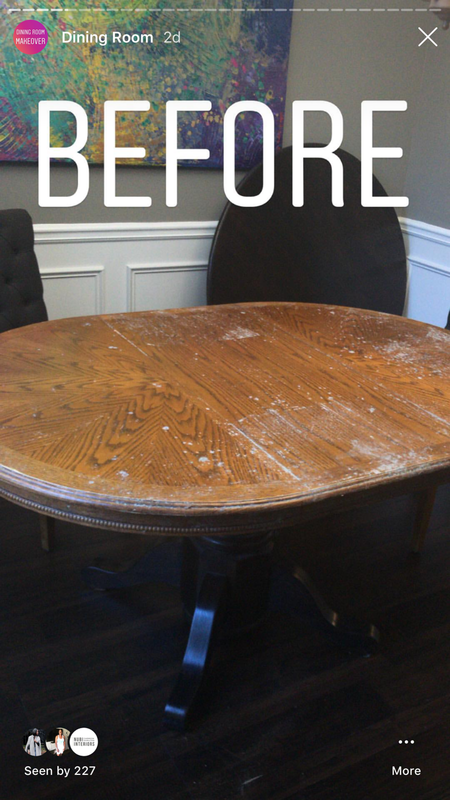 I took the entire set home, sold the chairs, and then it sat in my garage for over a year:( Yes, I bought this table back in January of 2017 and just held on to it. 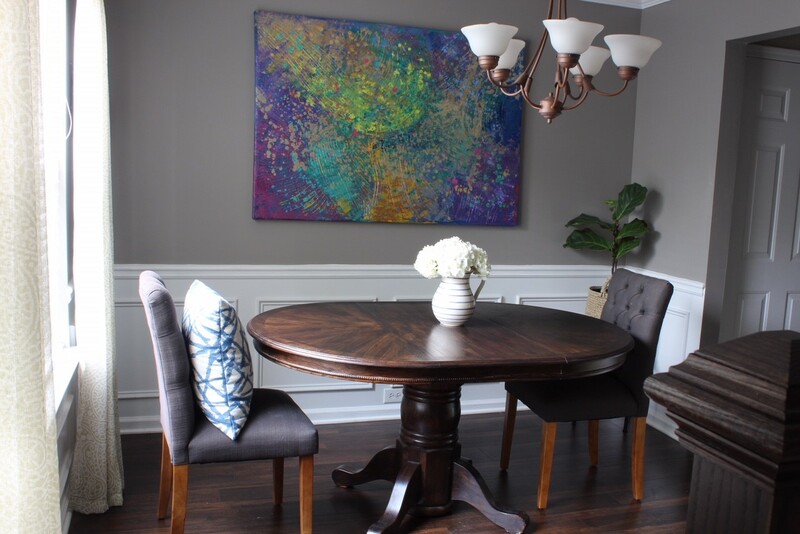 Now that the dining room has become a prioirty again, I figured it was time for a makeover. I really liked my current table color and original base, so I simply swapped out the base from my old table and put it on my “new” table. This also meant less staining work. 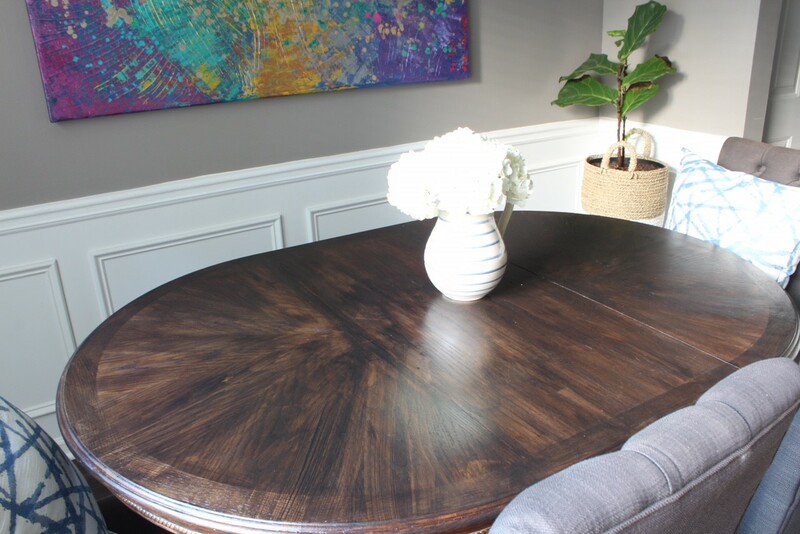 I used every single step from my original post showing how to stain an oak table. Each step was the same, and even easier this time around. I also filmed each step in my Instagram stories as it was happening. 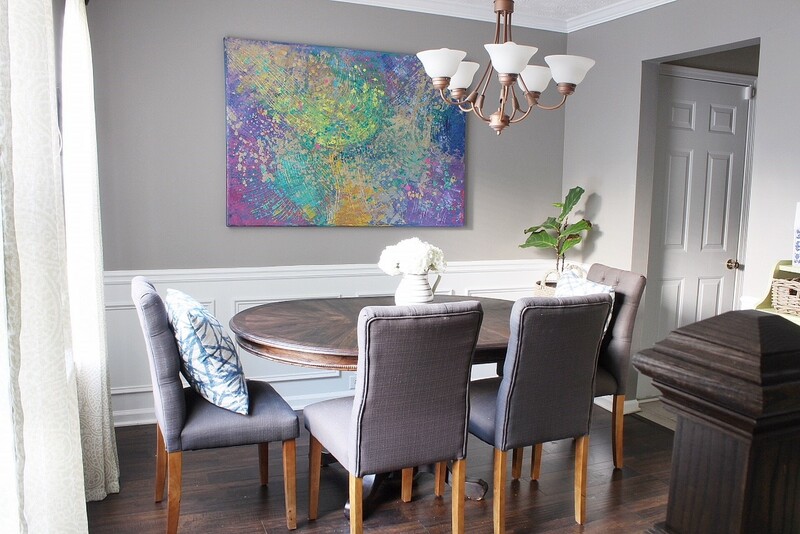 You can follow me on IG here and head to my highlights under Dining Room Makeover. And here is the table now. Erin! You killed this. I think that I am going to have to steal you one weekend for projects around my house. I loved watching the entire process on IG! Looks great girl. Thank you! And lets do it! Just let me know! 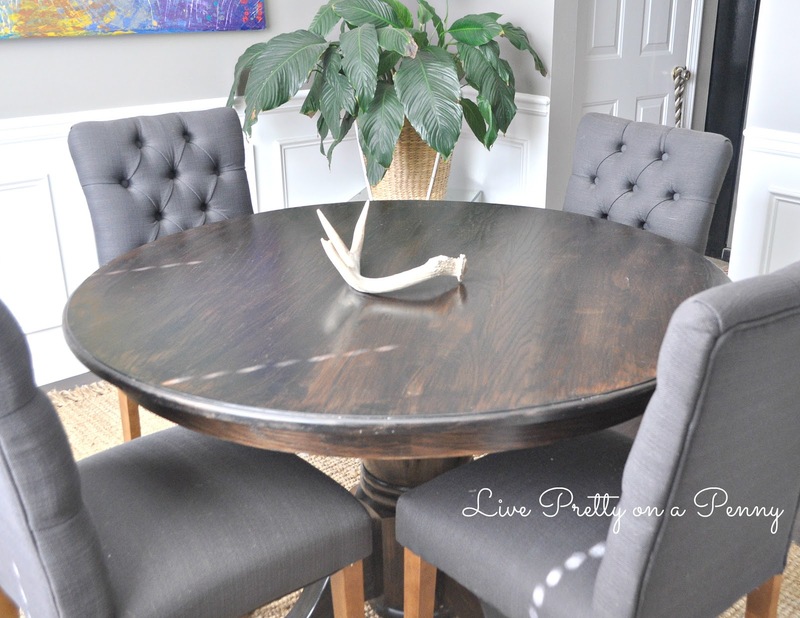 Such a fantastic update and the new table is much better suite for your dining room!! Thank you Katrina!! I think so too!